Perhaps the biggest surprise in Sydney FC’s 2-2 draw on Wednesday was not Milos Ninkovic’s goal, but the fact that the Newcastle Jets were the better side. 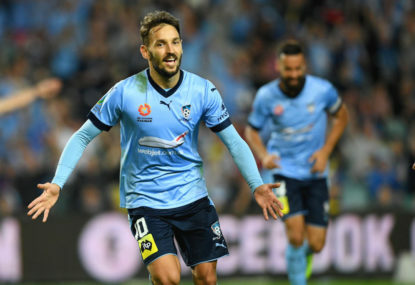 Ninkovic scored not just a goal-of-the-season candidate but one of the best solo goals ever seen in the A-League, as the twinkle-toed Serb exchanged passes with Bobo before dancing through the Jets defence like they were Easter Island statues. It was a goal of staggering quality – even if Jets defender Lachlan Jackson could probably live without the countless replays it spurred. And having fought back from a goal down, seasoned A-League watchers could have been forgiven for thinking the Sky Blues would steamroll their opponents in the second half. But this is a different Newcastle Jets outfit. And they owe much of their resurgence to Ernie Merrick. Is Merrick the best coach in the A-League? He’s arguably the most underrated. 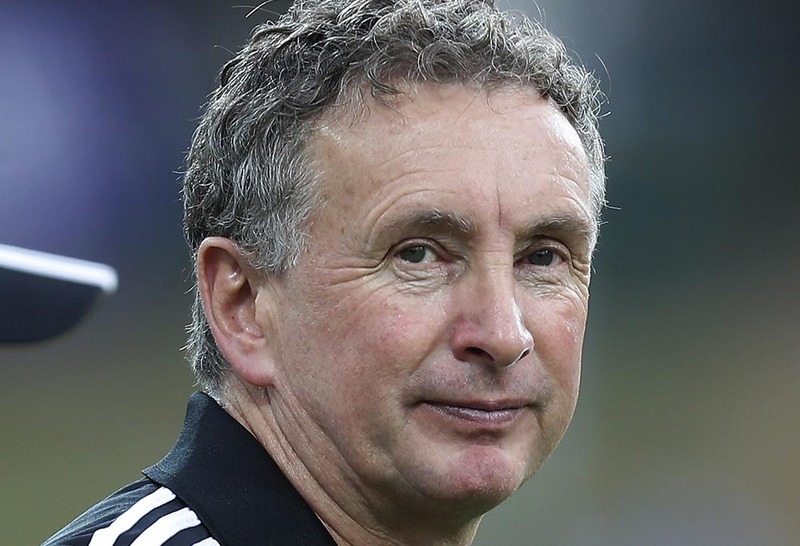 And having won championships with Melbourne Victory and steered habitual strugglers Wellington Phoenix into finals football, Merrick is now transforming Newcastle into the most entertaining team in the league. That he’s done it without playmaker Ronny Vargas, and more recently Roy O’Donovan, is testament to Merrick’s ability to get the very best out of the players at his disposal. And in bringing in Argentine attacker Patricio Rodriguez, Merrick is attempting to do something that has proved surprisingly problematic in the A-League – source quality foreign talent. In this regard, it could be said the Jets have taken a few cues from none other than Sydney FC. When Milos Ninkovic joined the Sky Blues, some online critics saw him as just another foreign blow-in from some far-flung corner of Europe. It was a strange position to take given that Ninkovic had won a couple of Ukrainian championships with a star-studded Dynamo Kyiv, and turned out for Serbia – against the Socceroos, no less – at the 2010 FIFA World Cup. And in signing the Serbian star, the Sky Blues signalled that it was possible to recruit highly experienced players who aren’t necessarily in the Alessandro Del Piero class of marquee player. We can argue all we like about other factors – the rehabilitation of Alex Wilkinson and Michael Zullo, the signing of Danny Vukovic and subsequent form of Andrew Redmayne, the emergence of Brandon O’Neill and Josh Brillante among them – but what all of these components have in common is ‘recruitment’. Put simply, Sydney FC have out-recruited everyone else in the A-League. And they’ve done it mainly on the strength of their foreign signings. It started with Marc Janko and included Filip Holosko, but there’s no doubt their current crop of foreign stars is the best of the lot. Ninkovic and Polish winger Adrian Mierzejewski are the most effective foreign duo in the league since Thomas Broich and Besart Berisha – yes, thanks for the reminder Brisbane Roar fans – while Brazilian striker Bobo is one of the most prolific strikers in recent A-League history. Add the recruitment of cult defender Jordy Buijs midway through last season, and it’s clear Sydney’s scouting department is doing something right. All this after Graham Arnold finished seventh in his second season in charge. And for all the supposed favouritism shown towards the club by Football Federation Australia – should Bobo have been allowed to score seven goals in his past three games after raking his studs down Manny Muscat’s shin? – there’s a bigger-picture bonus to Sydney FC’s current dominance. It should drag the rest of the league up to their level. Sorry Western Sydney, tough luck Melbourne Victory… if you want to be the biggest clubs in the land – on the pitch, at least – you’ll have to match Sydney FC’s current standards. Newcastle Jets have responded to the challenge. And with Sydney FC’s AFC Champions League commitments just around the corner, now is the time for the rest of the A-League to strike.